The Body Shop, one of the best-known manufacturers of cosmetics and make-up in the world, maintains a store on the Ground Level of Chadstone. 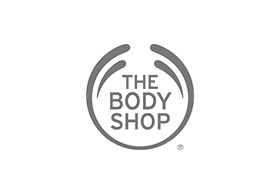 The Body Shop has established a unique identity with premium quality skin and body care products formulated from the finest natural ingredients. Their ethical values have won them praise and attracted a loyal following worldwide. The Body Shop maintains over 2600 stores in 61 countries, including Chadstone. The brand's motto 'beauty with heart' is evident in their exclusive line of make-up, bath & body products, skincare, hair care, men's grooming products, fragrances and gift cards, many of which have won awards and been highly rated by customers. Nature-inspired body, hair, face and home products from The Body Shop use such ingredients as sesame seed oil and marula oil sourced through their trade program. Some of the best-selling products from the company include their body butters; tea tree, vitamin E, vitamin C, seaweed and aloe vera skin care; men's white musk and maca root skin care; and the Banana shampoo and conditioner. The Body Shop is the first international cosmetics brand to receive the Humane Cosmetics Standard for their policy against animal testing of products. They source natural ingredients – the essence of their products – from marginalized communities and have expressed their commitment to forming sustainable trading relationships that benefit such communities and people. These working practices and initiatives are enshrined in the company's Community Fair Trade Program. The Body Shop at Chadstone is a one-stop shop for natural and organic body care products. If you're interested in ethically sourced and manufactured products, The Body Shop merits a visit.